This build isn’t actually from this week, but is instead something my students made last month. I finally got all the videos and photos together this week. Back in November, my students came up to me one morning super excited about something they’d read in Popular Science (I love my nerds). They had seen a Facetime car made with littleBits and laser cut parts, and they were determined to build one with our littleBits. We don’t have a laser cutter, but we do have LEGO Mindstorms parts, so my students quickly got to work sketching out ideas and brainstorming. 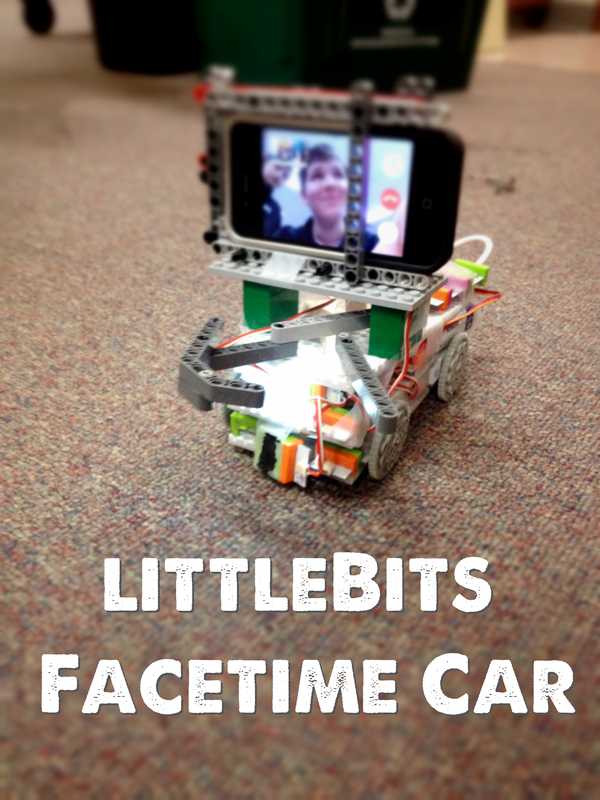 The first version of our littleBits car. 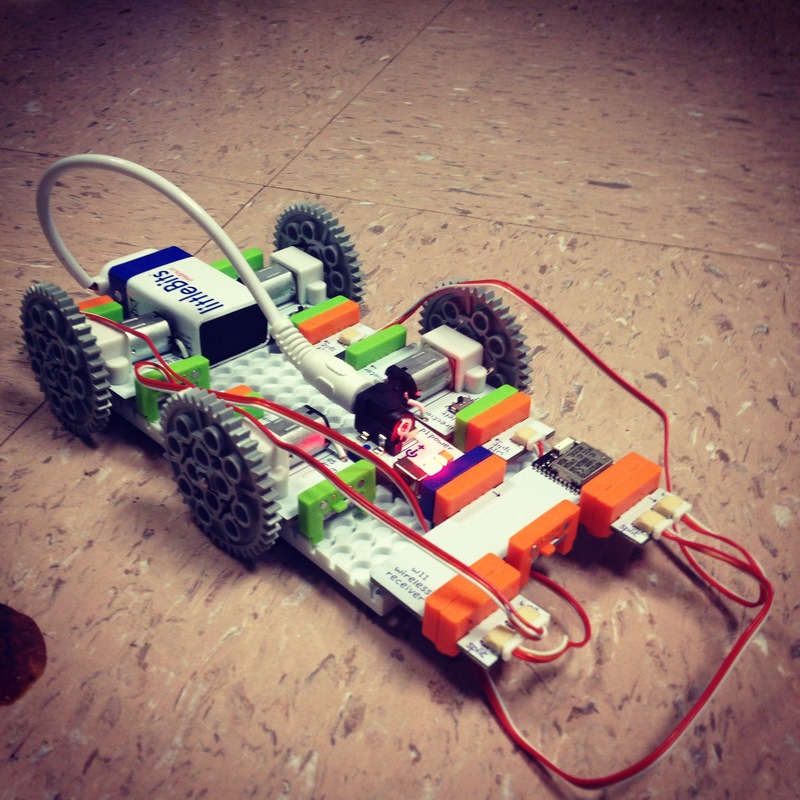 In the first version of our littleBits car, my students hooked up a wireless receiver to four DC motors using splits. The mounted it all to a mounting board, and used LEGO gears as the wheels. This was controlled with a wireless transmitter and slider switches. The students could control either side with the switches, so the car could go straight, turn left or right. They continued to modify and add to the design. Using bargraphs, they discovered that using one battery and a fork didn’t power each bit the same amount, so they decided to use three separate batteries. 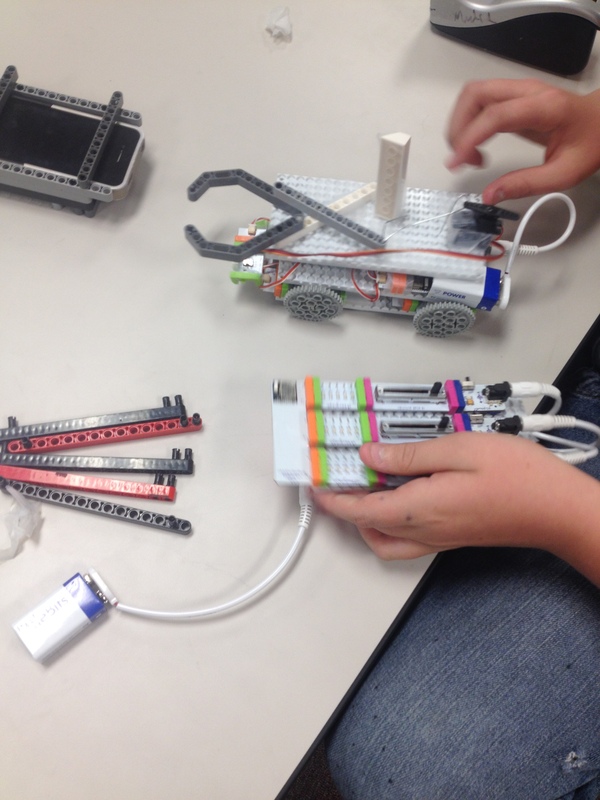 They also learned that one wireless transmitter can control multiple wireless receivers, so they set up a second receiver to make a “headlight” and a “horn” using an LED and buzzer. They also figured out how to rig a servo bit with LEGOs to create a grappling hook that could move obstacles out of the way of the car. This was such a fun process for my students. 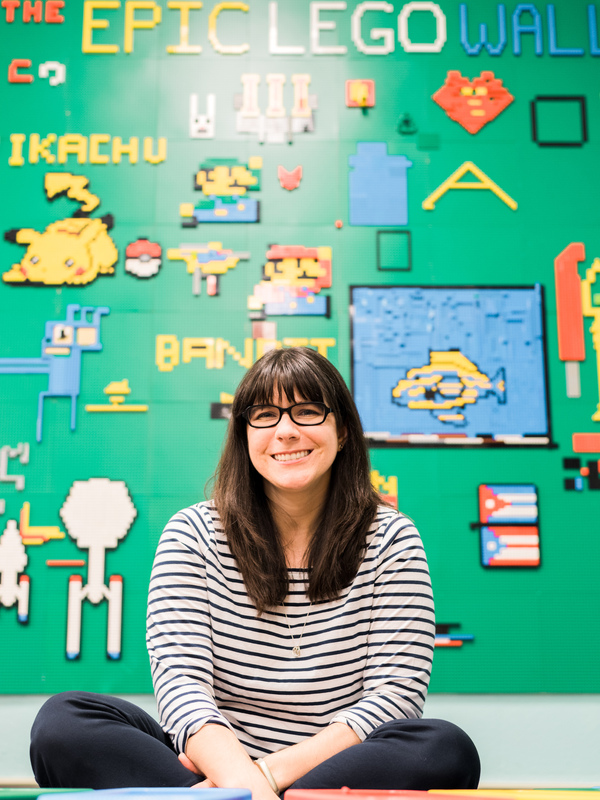 They learned so much about design, trouble-shooting and prototyping. There were plenty of failures, but they learned from them and adjusted. 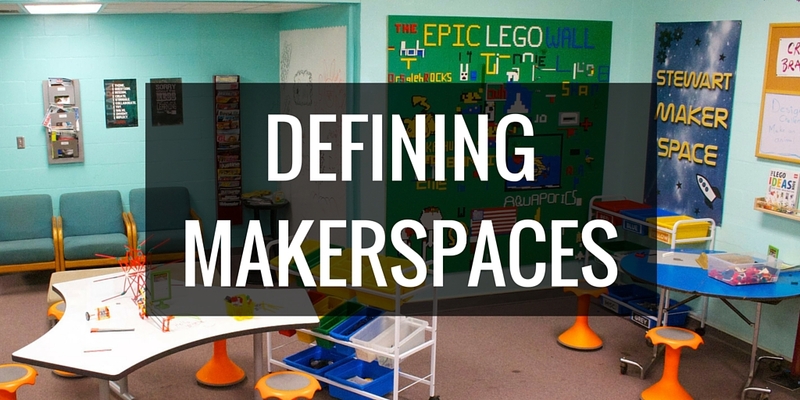 To me, this is what Makerspaces are all about – giving kids the opportunity to pursue a passion project from start to finish, to make something themselves with their own hands, and to share that project with others.